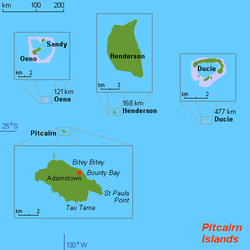 Adamstown is the anly dounset on, an as such, the caipital o, the Pitcairn Islands. The dounset is locatit on the central-north side o the island o Pitcairn, facin the Paceefic Ocean an close tae the Bounty Bay, the anly seaport o the island. 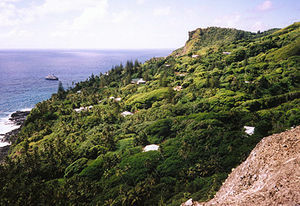 ↑ "Adamstown, Pitcairn Islands". climatemps.com. Retrieved 2012-10-30. This page wis last eeditit on 6 Mairch 2019, at 01:47.